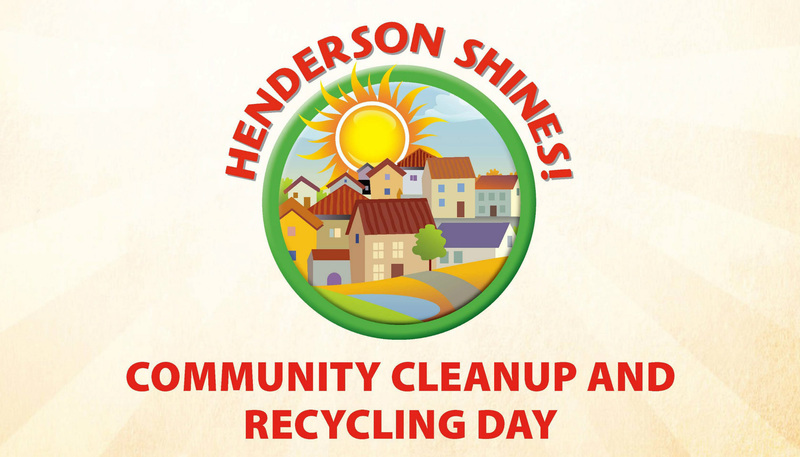 The City of Henderson is hosting Henderson Shines, a free community cleanup and recycling effort. Residents have the opportunity to dispose of hazardous household materials, recycle electronics and other items, donate goods and have sensitive documents shredded. Televisions and tires will not be accepted. Oil, batteries, paint and cellular phones can all be safely disposed of, along with electronic waste such as computers or printers often made of materials such as lead, nickel, cadmium and mercury that could pose a risk if mismanaged at the end of their usefulness. Documents that are dropped off will be securely collected and shredded. Henderson Police will also be on hand to collect and safely dispose of unwanted or expired medications. Medical needles cannot be accepted. Gently used clothing and household items will be collected. Pet food and pet supplies can also be donated. For more information visit cityofhenderson.com or call the City of Henderson Neighborhood Services Division at 702-267-2000.